For those of you wondering why there haven't been any new postings lately let me simply say that Lynda and I needed to escape the hellish Texas heat and so we headed for Alaska. 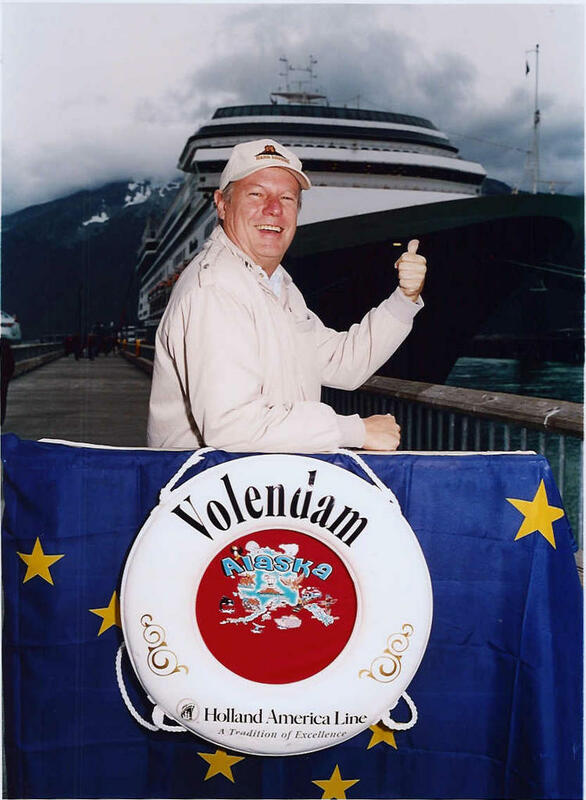 And guess what -- we were able to thumb a ride on a Holland America cruise ship. The trip was phenominal -- great weather every day, smooth sailing all the way and a number of whale sightings -- although I must admit that most of these took place by the pool on the Lido Deck of the m.s. Volendam and not in the waters of the Inner Passage. Boy, some white people sure don't seem to age very well. what concerns me Robert is your cap...it appears to be the famous "upside down horns" made famous by the Land Thieves to the north. please tell me you haven't started playing for the other team. hiding under the anoymous label!